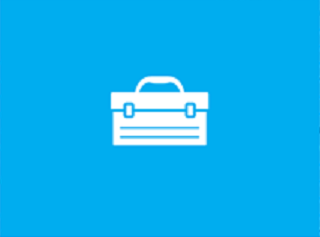 Windows Assessment and Deployment Kit (Windows ADK) for Windows 8.1 Update released. Today Microsoft released an updated version of the Windows Assessment and Deployment Kit. This release of Windows ADK includes new and updated functionality to improve assessment and deployment scenarios including support for Windows 8.1 Update. Version increments between 25984 and 26629 are updated versions of the RTM release. Version increments higher than 26629 are for the Windows 8.1 Update. For a complete list of changes, see the Windows ADK Release Notes. For a list of new features included in the Windows ADK for Windows 8.1 Update, see What’s New in the Windows ADK for Windows 8.1. To activate your Office 2010, Visio 2010 or Project 2010 you can use both MAK or KMS volume activation methods. For midsize and large enterprise environments (250> seats) KMS activation is the best suitable solution. If you currently using KMS for activating your operating systems (Windows 7, Windows Server 2008 R2) you are ready to activate Office 2010 as well by using the current Volume Activation solution. 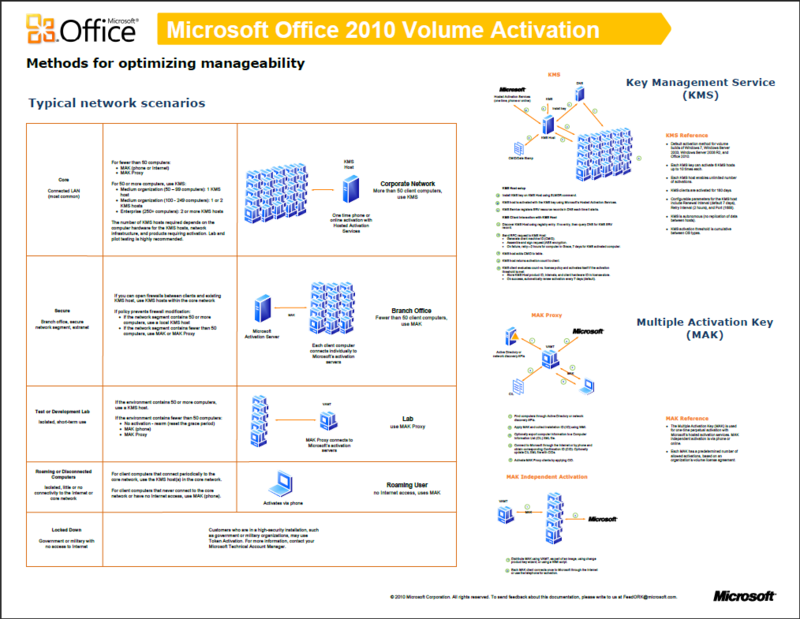 Overview of Microsoft Office 2010 Volume Activation can be downloaded here. The model chosen depends on the size, network infrastructure, connectivity, and security requirements. You can choose to use only one or a combination of these activation models. Typically, the same activation method for a particular instance of Windows would be used for Office. For more information about how to decide which activation method to use, see the Windows Volume Activation Planning Guide (http://go.microsoft.com/fwlink/?LinkId=183040). Although you have six KMS host activations on the KMS host key, we recommend that you activate no more than one or two KMS hosts. To activate the KMS host on the Internet, run KeyManagementServiceHost.exe in the Microsoft Office 2010 KMS Host License Pack (http://go.microsoft.com/fwlink/?LinkID=169244). This is a free download from Microsoft. To activate the KMS host on the telephone or manually, and to configure the KMS host, use the slmgr.vbs script. For more information, see Deploy volume activation of Office 2010.